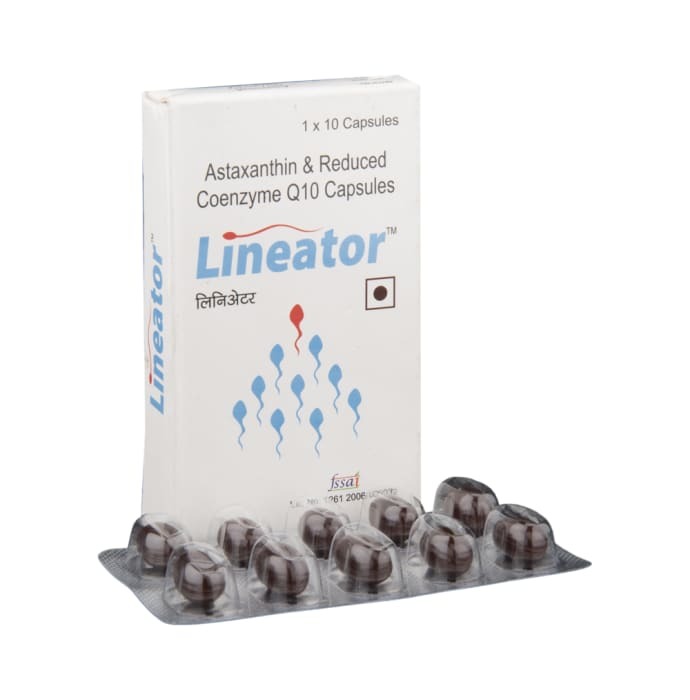 Lineator Capsule contains Co-Q10 and Astaxanthine. Lineator capsule is used in male infertility. Coenzyme Q 10 in linester capsule is also known as ubiquinone, is a vitamin-like substance that is present in most cells. It is an antioxidant (meaning it inhibits the oxidation of other molecules). Sometimes, oxidation reactions produce free radicals which can start chain reactions in cells resulting in damage or cell death. So antioxidants can be good when they terminate the chain reactions before there is damage to the cell. 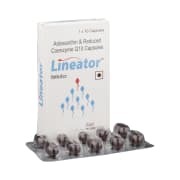 A licensed pharmacy from your nearest location will deliver Lineator Capsule. Once the pharmacy accepts your order, the details of the pharmacy will be shared with you. Acceptance of your order is based on the validity of your prescription and the availability of this medicine.